A pale yellow colour with green hues, a fresh, fine and structured wine where the floral notes and spices add harmony to the bouquet. 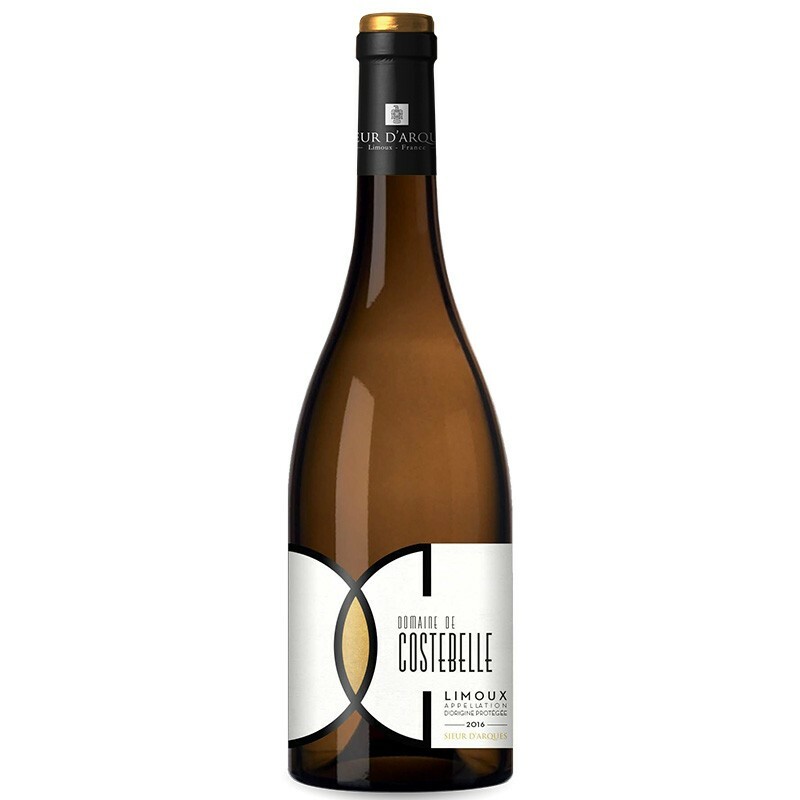 Domaine de Costebelle is located on a hillside, overlooking the Autan terroir, in the centre of the Limoux appellation. For more than 100 years and five generations the Sarda family has been growing vines on this estate, which was originally equestrian stables on the Limoux–Mirepoix road. At the meeting point of two great climatic influences (Mediterranean and Oceanic), the estate benefits from a warm, dry microclimate. Chardonnays blossom on slopes at altitudes of 200-250m. This gravel soil on limestone bedrock brings power and balance to the 100% Chardonnay wines, which are produced according to the AOC Limoux specifications.